On Internet, I found so many people are confused about how to change a computer passwords of users account even though it is a very easy job. As far as we know, changing windows logon password regularly is a good habit to help keep our PC secure, I just researched and found out the below ways to change the password of users in Windows XP. You can use either one to achieve your goal. If you know any other interesting way, please let me know through comments. Tip: You can also open control panel by Start –> Run –> control. This will open Control Panel. Select the user for which you want to change the password and select Change my password. Note: you must need appropriate privileges to change the password of another user. If your press Ctrl+Alt+Del when you are logged onto your Windows XP machine, it will show you the classic security options. Select change password and change the password of the logged on user. Note: If the security options does not appear. Task manager shows up instead of the security options. Just go to Start –> Control Panel –> User Accounts –> Change the way Users Log on or off. Uncheck Use the Welcome Screen. Log off and logon again. Now pressing Ctrl+Alt+Del will show the security options window. go to Run –> cmd. It will change the password of the user Sanix to 12345. This will open the classic user accounts management window. Select any user and select reset password. Right click the username for which you want to change the password and select Reset Password. If you compare the ways hereinabove carefully .You’ll find that the premise of using above ways to change your PC users password is you must logon the system with a user who has the appropriate privileges to change the password of another user. But if you forget winodws password including administrator, what can you do? 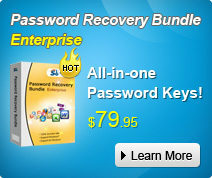 SmartKey Windows Password Recovery is your best choice to change a forgotten windows password, it is an easy-to-use tool designed for resetting local administrator and user passwords on any Windows system. If you have forgotten your password , or are locked out, or you do not have access to the password of the system. No need to call a technician, no need to re-install anything, and you certainly don’t need to reformat, just download this effective utility .